Etch A Sketch wherever you go. 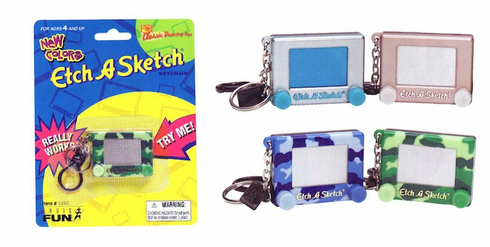 These keychains really work, so you can create works of art whenever you have a little spare time. Assorted metallic and camo colors. Box measures 5 1/2" x 7".